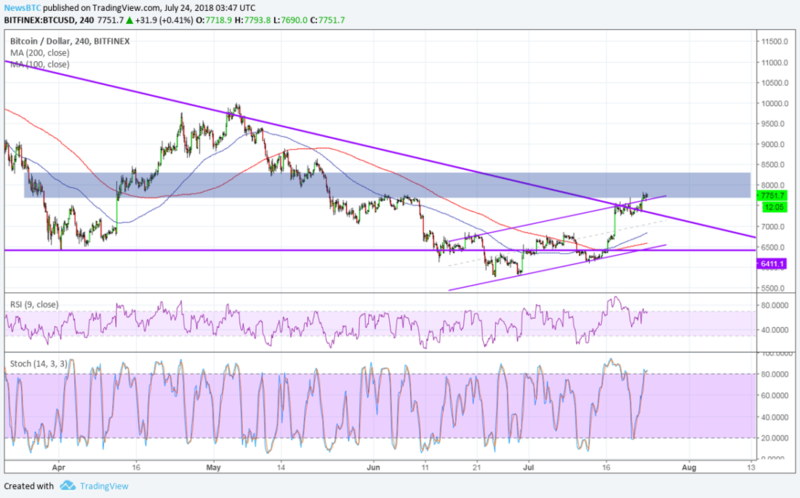 Bitcoin price busted through its short-term channel and the top of a longer-term descending triangle. Price is now making its way to the area of interest around $8,000 that might make or break the rallies. Strong bullish momentum could take it past this former support region, paving the way for an extended uptrend. 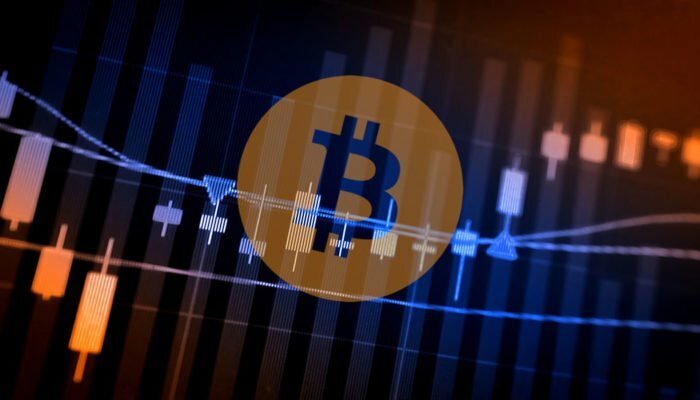 Bitcoin price has climbed enough to reach the area of interest at $8,000 and might need another catalyst to sustain its rally. The 100 SMA is above the longer-term 200 SMA to confirm that the path of least resistance is to the upside. This means that the uptrend is more likely to resume than to reverse. The gap between the moving averages is also widening to reflect strengthening bullish momentum. However, RSI is slowly making its way down from the overbought territory to reflect a return in selling pressure. This could spur either a quick retest of the broken triangle top around $7,200 or a dip all the way back down to the triangle and channel bottom at $6,500. Stochastic, on the other hand, appears to have some more room to climb. In that case, buyers still have the upper hand and could push for more gains until the oscillator turns from the overbought region to reflect bullish exhaustion. Institutional interest and regulation have lifted bitcoin over the past week, and the market attention now turns to the SEC for its decision on the bitcoin ETF. An approval could mean more money flowing into the industry, which could lead to further gains and be enough to sustain the much-anticipated rebound for the year. On the other hand, rejection could put regulators back in the negative light, likely leading to larger retracements or dips for bitcoin. Dollar demand seems to be taking some hits recently on the US spat with China, although the advanced GDP release later in the week could fuel rate hike expectations again.